Truck on over to Man Therapy! Team Transport & Logistics are getting ready to take real action and are pleased to be working alongside beyondblue to promote Davo’s Man Therapy. 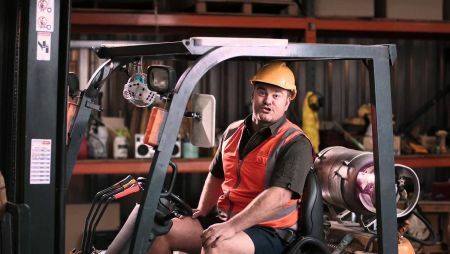 This campaign will introduce Australia to a new mental health champion “Davo”, a larrikin tradie who doesn’t beat around the bush when it comes to mental health. Our industry and driver base is primarily male and we know some of the struggles these boys face on a daily basis when it comes to mental health. Nearly a third of men who are ‘blue-collar’ workers wouldn’t know what to do if they were struggling with depression or anxiety, more than a quarter believe that men with these conditions are seen as soft and many think seeking help is a sign of weakness. We hope to encourage these men as well as the general public, road users and our client base that it’s okay to ask for help. Our official launch day for this campaign will be September 1st! Please stay tuned for further details….